Time to start blogging! I guess this is my real first post on this blog since I got it up and running. It's been a slow year when it comes to photography, mostly due to work and other things getting in the way, but I'm finally excited about some upcoming stuff. First off; I'm traveling back to Tokyo on the 23rd of October again! I'm psyched about leaving for the city that has made a deep impact on me. Me and my colleague and friend Alexander are going to spend the first two weeks together in Tokyo, then I'm all alone for a week of fun! If you have any tips regarding o what I should check out, feel free to leave a comment below! 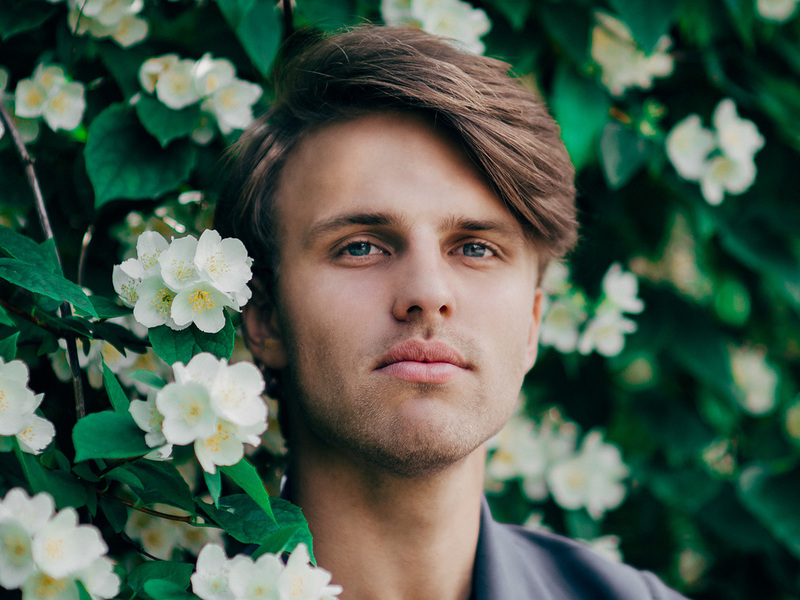 A few weeks ago I helped my friend Jonas E with a project of his. 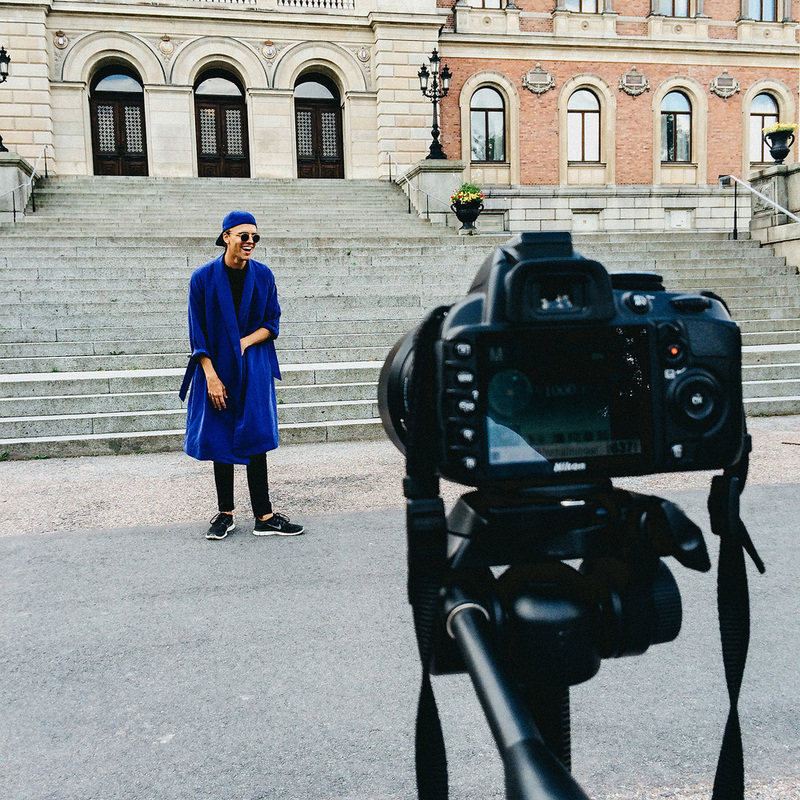 He wanted to make a lookbook video for his first blog post on Nordic Style Magazine. His blog launched today so I thought I might write a few words about the shoot and some technical details. We started out around 10 o'clock in the morning, with the sun shining brightly. 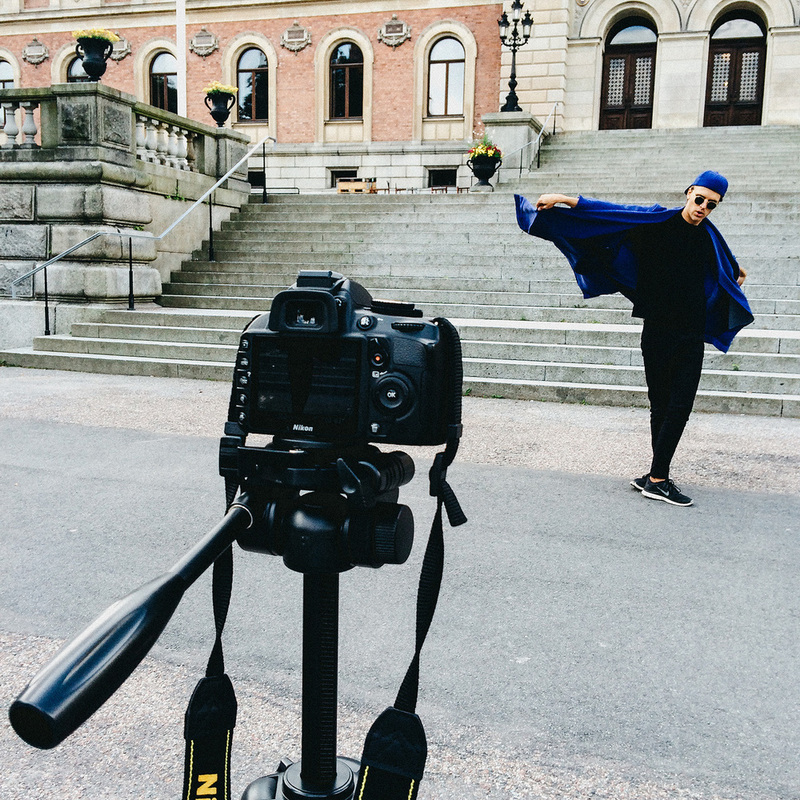 The location was going to be in front of the stairs of the University Hall in Uppsala. The whole shoot took about two hours, which was probably exactly the right amount of time considering rain started pouring later that afternoon. As the sun was shining quite bright I think I made a good decision of bringing my reflector. We could fix some shadow in both face and on the clothes so the shadows weren't overwhelming the image. Jonas wanted to use his camera equipment since he needed some help on understanding how to do it in the future, but in the end it was a mix of his camera and my lens. We shot with a Nikon D3100 and my dear Samyang 85mm/ƒ1.4 (still the best bang for buck I've ever purchased!). The result? Check the video down below. What we learned? Well, to begin with, as the D3100 is limited to shooting 720p/30fps the video turned out to not like the slow-motion effect when editing. It got quite laggy and to combat that we used Optical Flow in FCP. Of course, the best option would've been to have a DSLR that shot 60fps. Next time! As the D3100 also has a very low-resolution LCD, the composition of the stars honestly seemed fine and "straight". As the video shows however, the lines are not exactly straight. Also, it might be better to have one camera filming the whole body the whole time, while having another one for close ups, as changing the position from camera time to time made shots a bit different from the other. Of course, both of these problems are quite minor in comparison to how great the video came out in the end! Jonas made a brilliant edit, and I hope that we get a new chance soon to make it even better. In the mean time, please check up his blog in the link above or his Instagram over at @jonviker. I would like to take a moment to people saying that if you're interested in standing model for me sometime, please leave me an email or comment below! I might not be able to do it straight away, but I will without a doubt contact you if there's a spot where it would be possible.